New York : Doubleday, 1987. First edition of the first lady’s autobiography. Octavo, original half cloth. 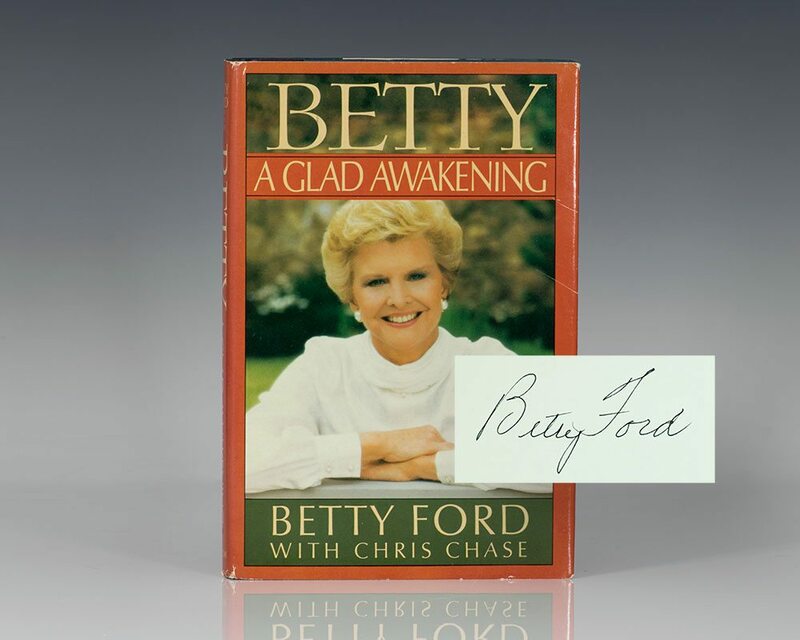 Signed by Betty Ford on the half-title page. Fine in a near fine dust jacket. Jacket design by David Gatti. Early printing of the first lady’s autobiography. Octavo, original half cloth. Signed by Betty Ford on the front free endpaper. Fine in a near fine dust jacket. Jacket design by David Gatti.